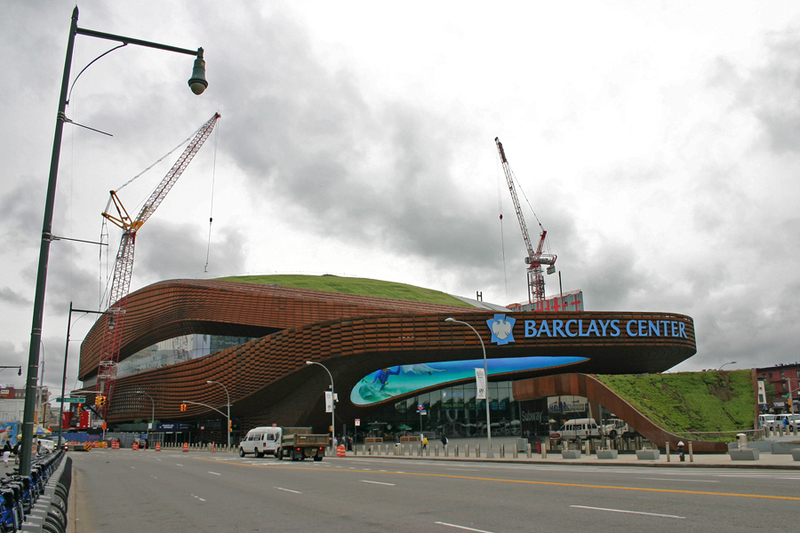 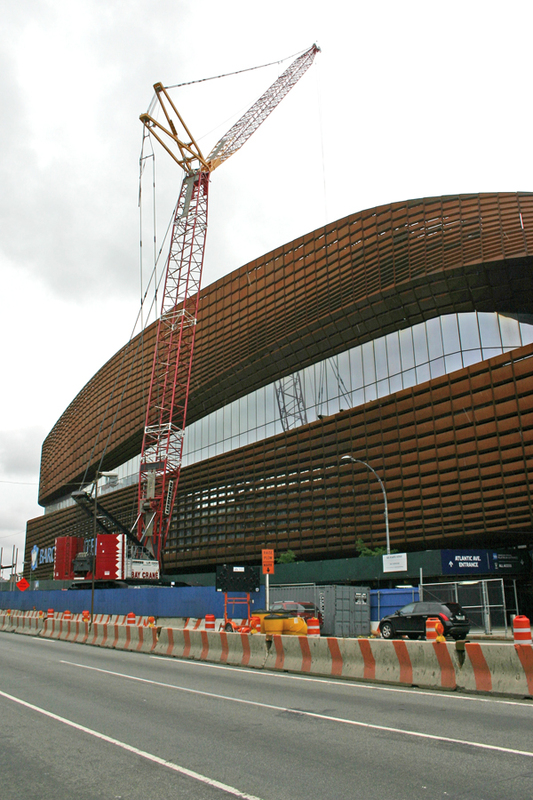 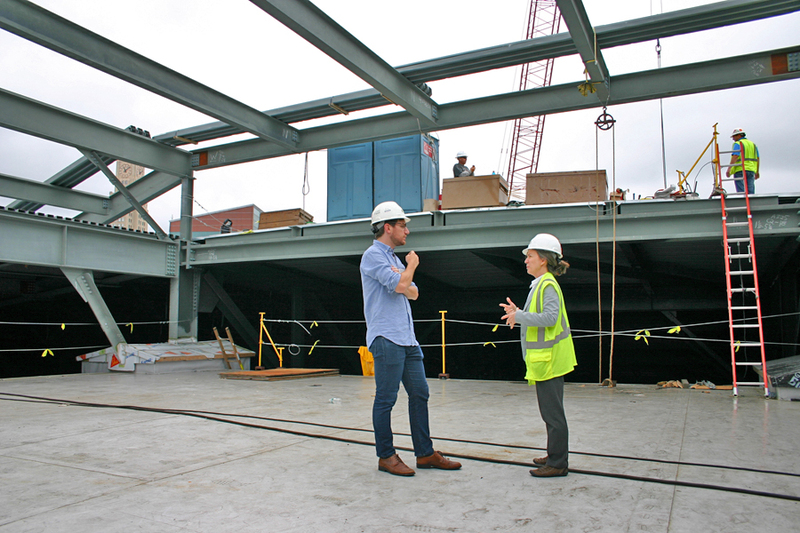 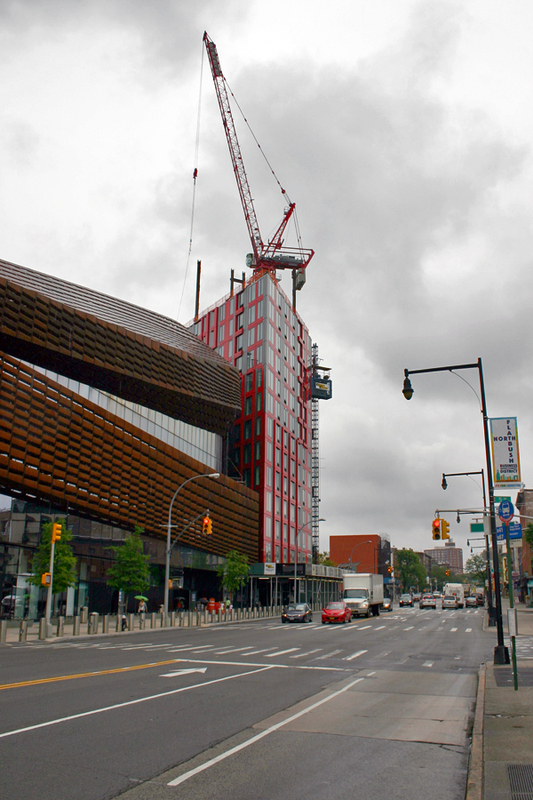 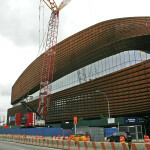 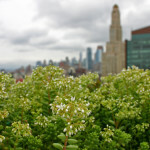 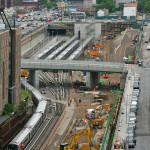 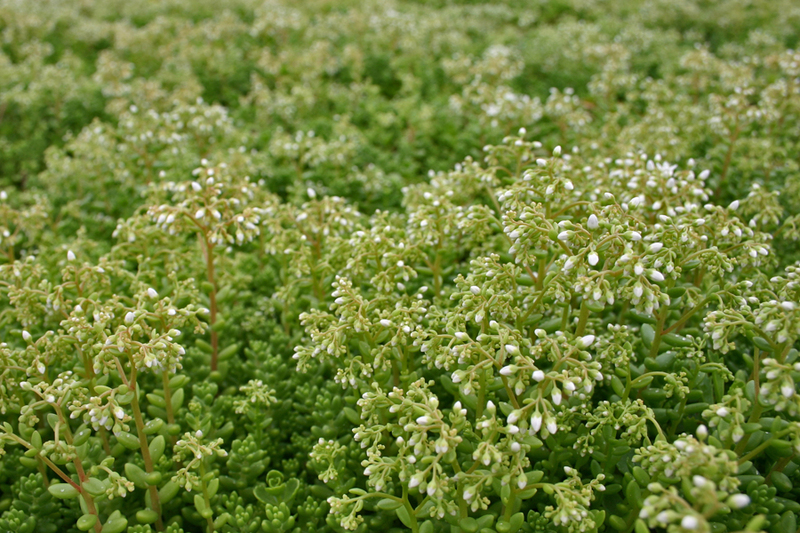 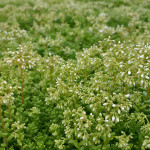 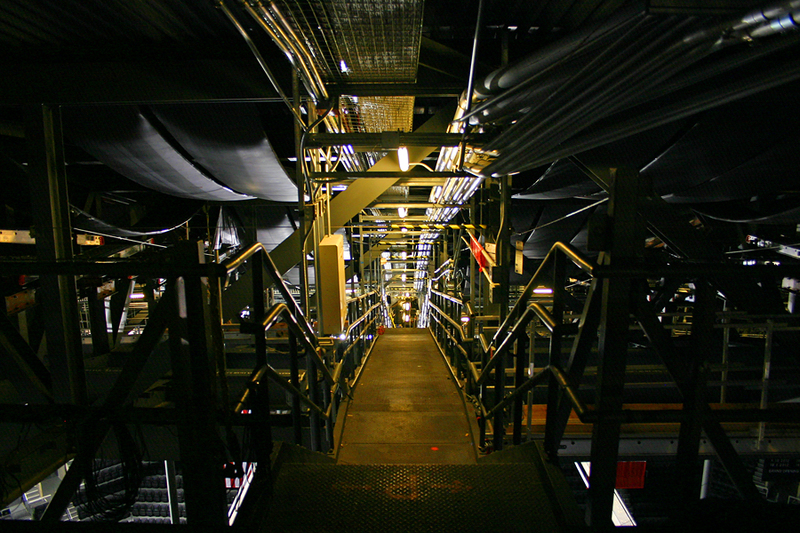 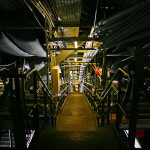 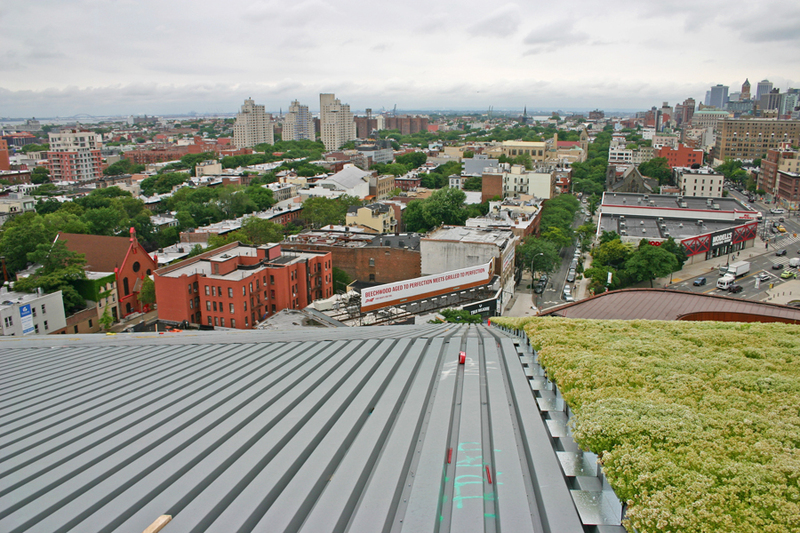 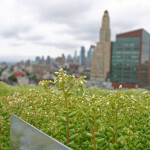 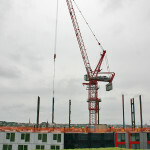 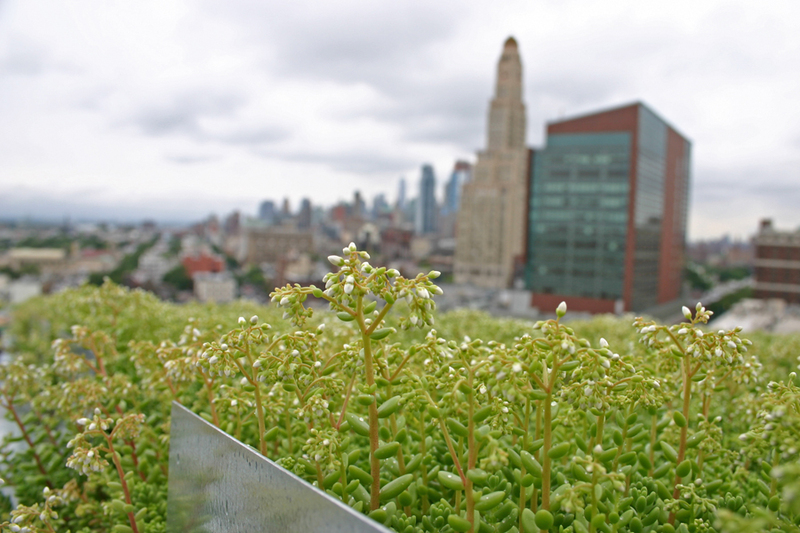 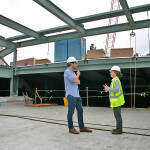 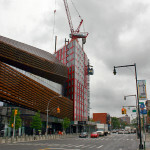 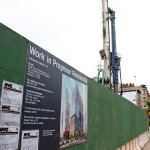 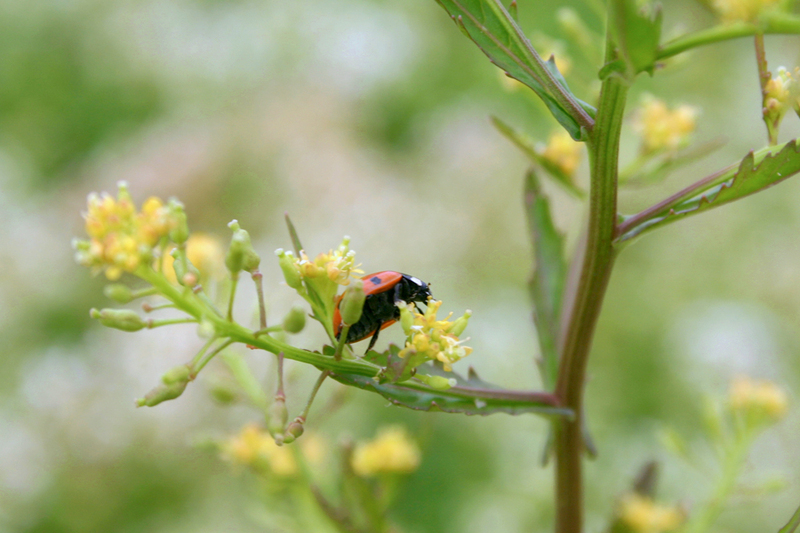 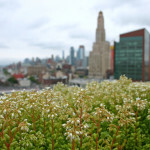 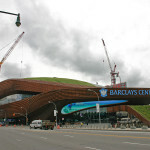 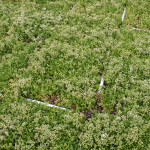 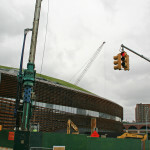 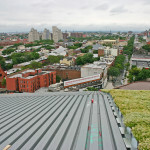 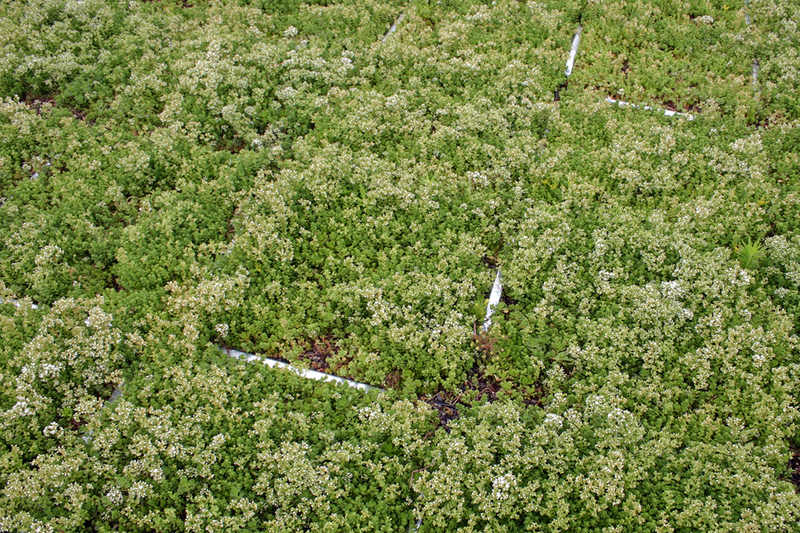 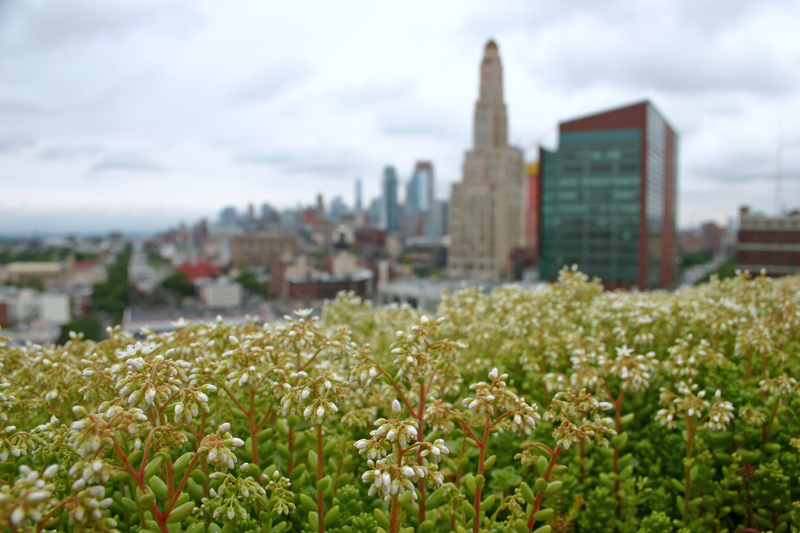 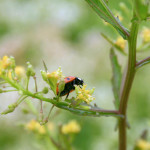 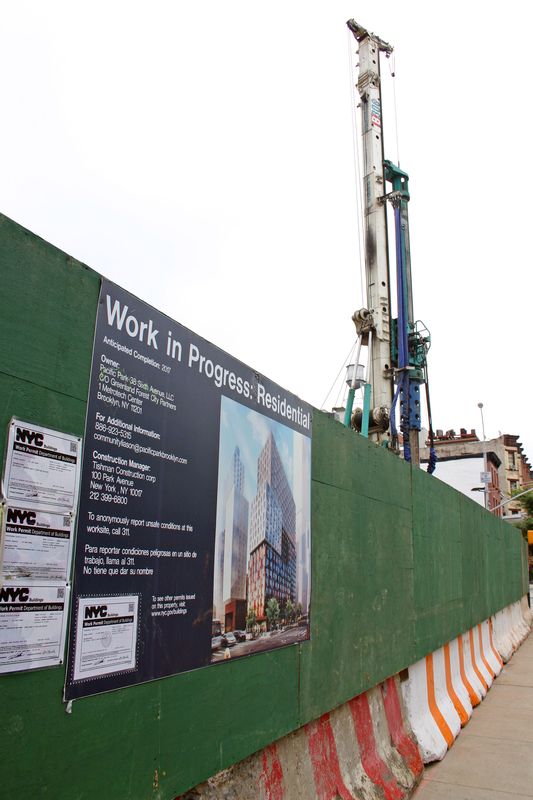 When The Architect’s Newspaper first visited the Barclays Center’s green roof, installation had just begun and there was only one strip of sedum running up the arena. 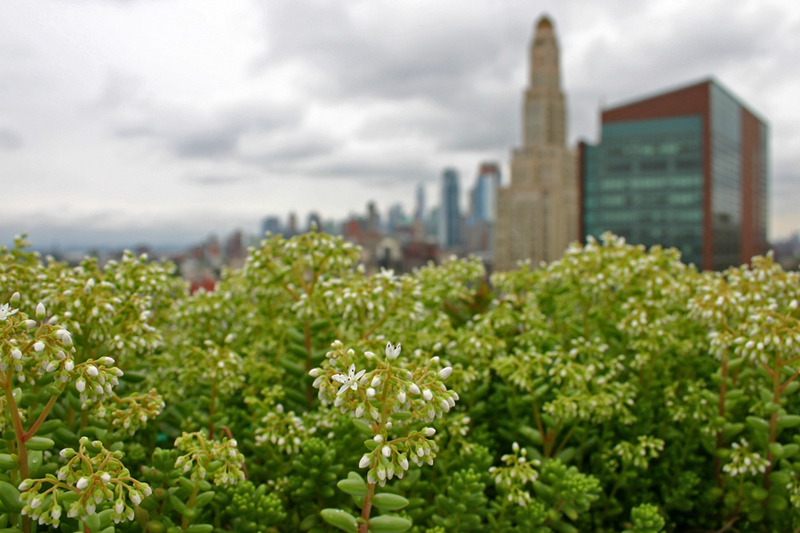 Now, six weeks later, sedum covers more than 50 percent of the roof, and, without being too hyperbolic about things, it’s looking like a verdant hillside up there. 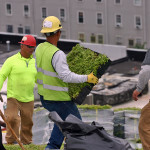 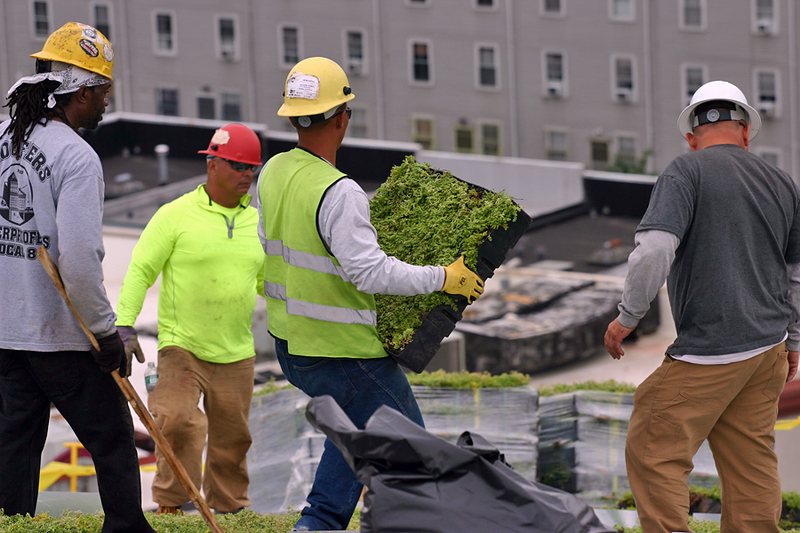 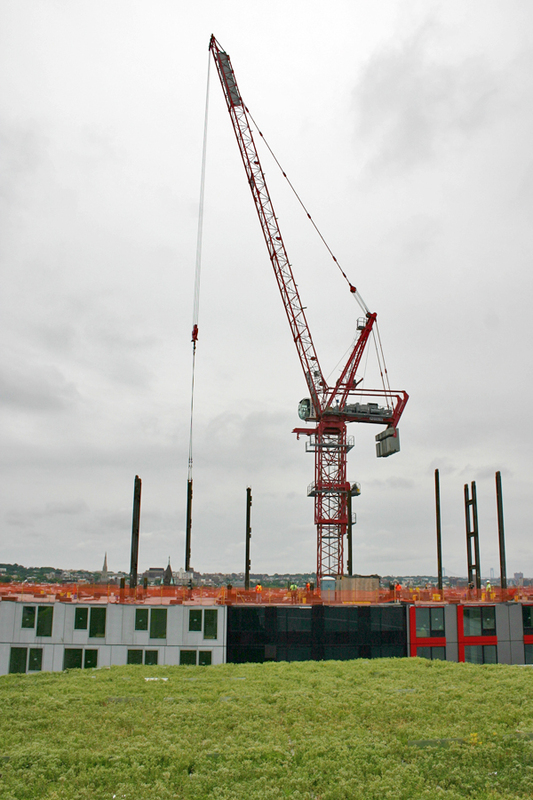 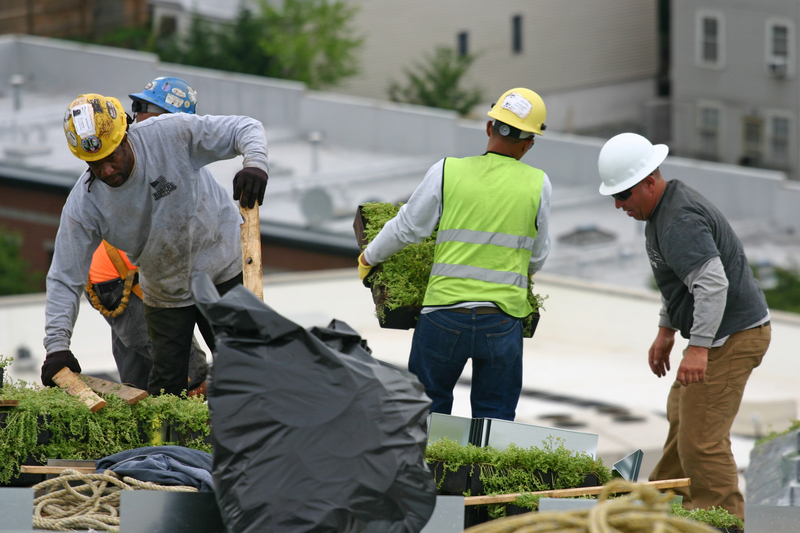 The full green roof project, which requires some additional architectural and engineering work, is on track to wrap up in September. 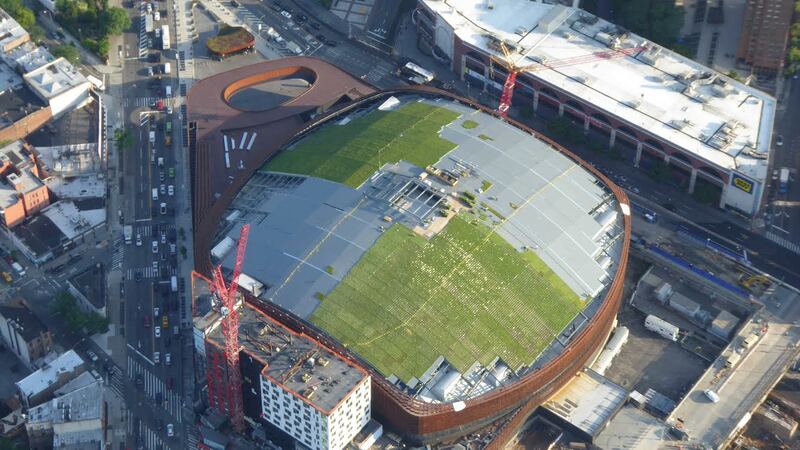 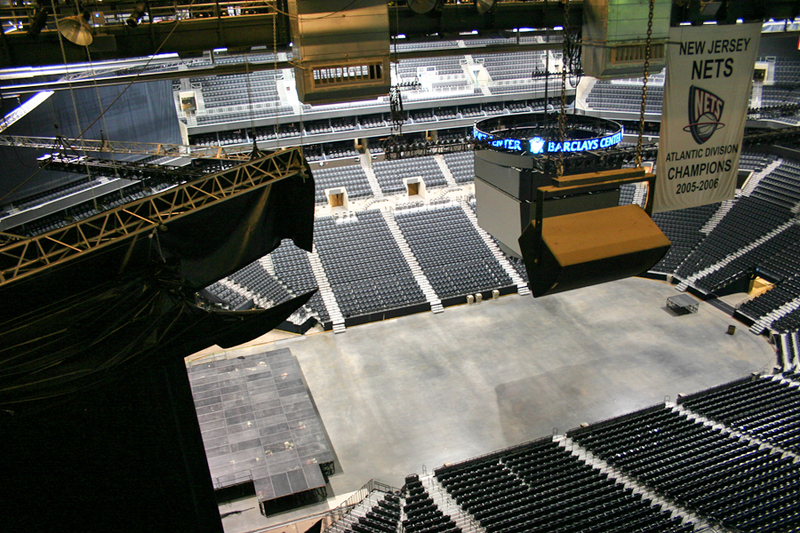 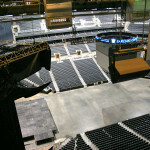 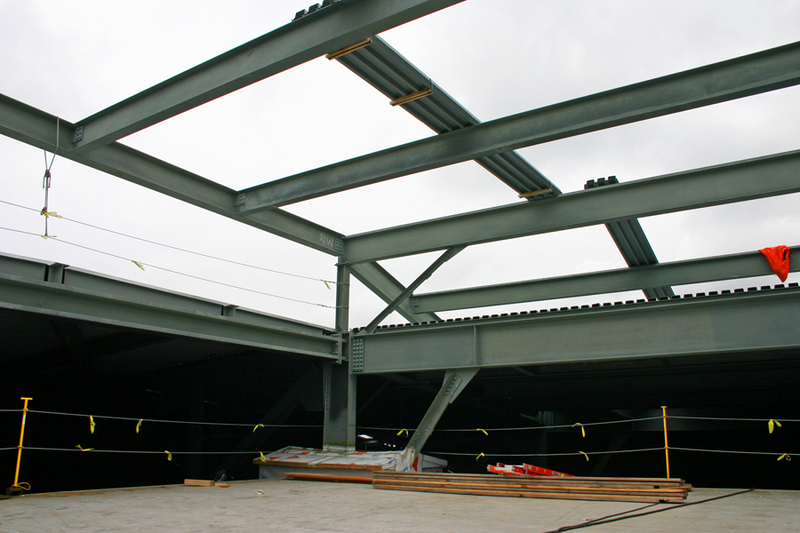 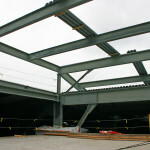 The three-acre space will not be open to the public, but rather is designed to absorb rainwater and keep excess noise from escaping the arena. 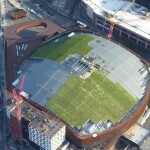 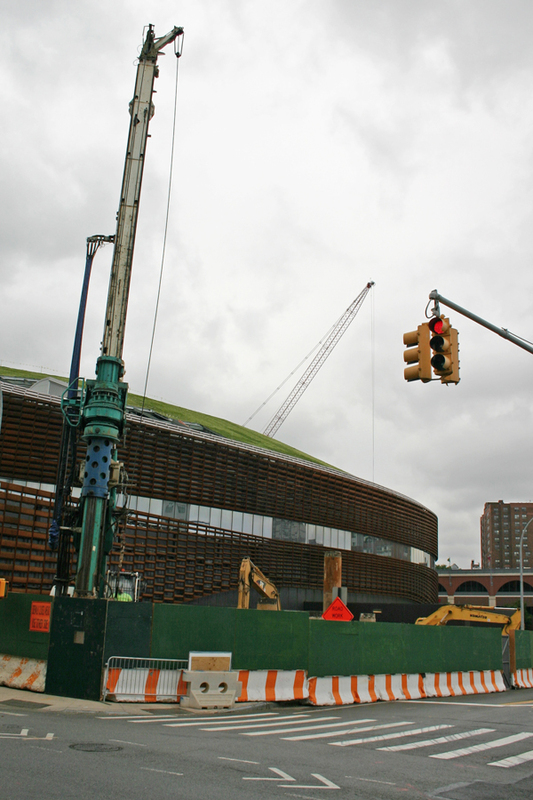 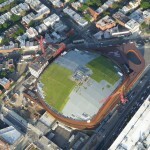 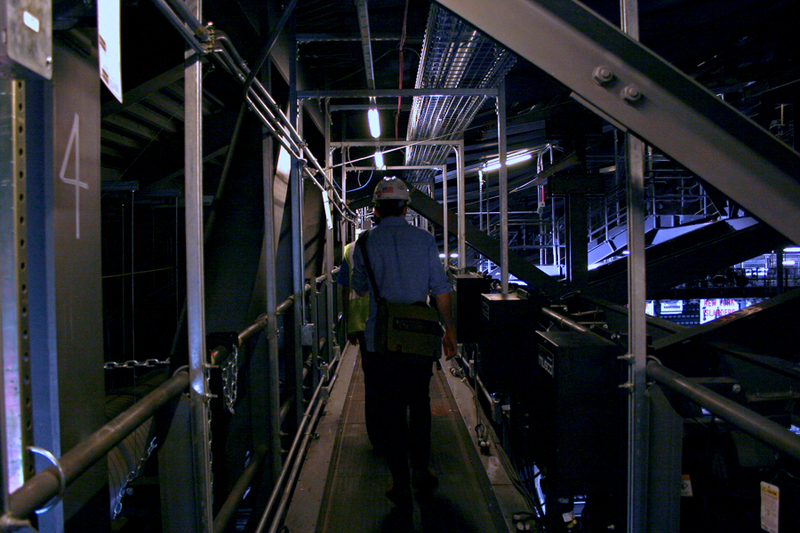 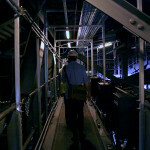 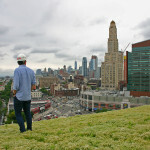 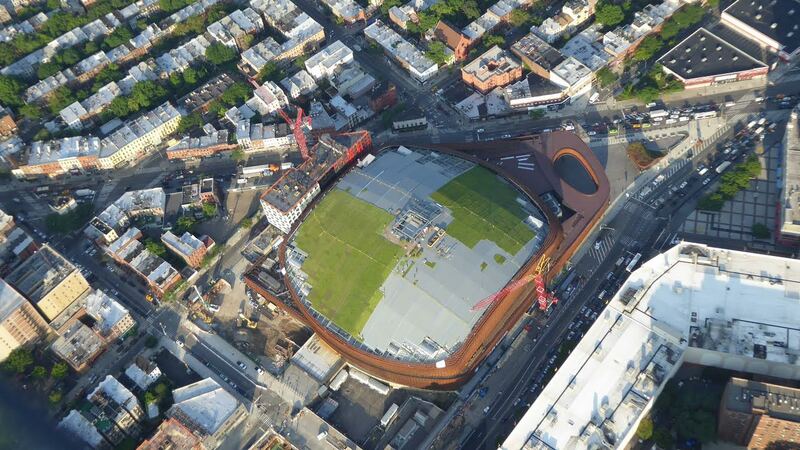 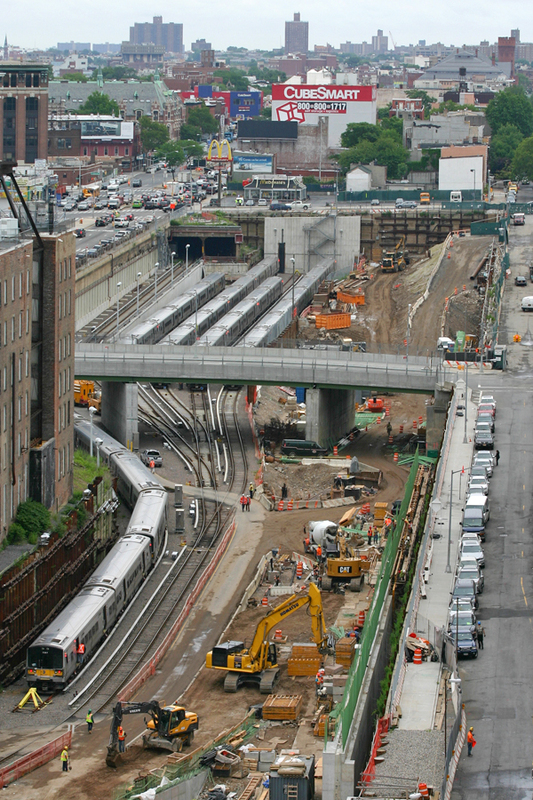 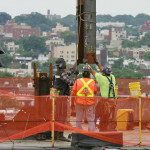 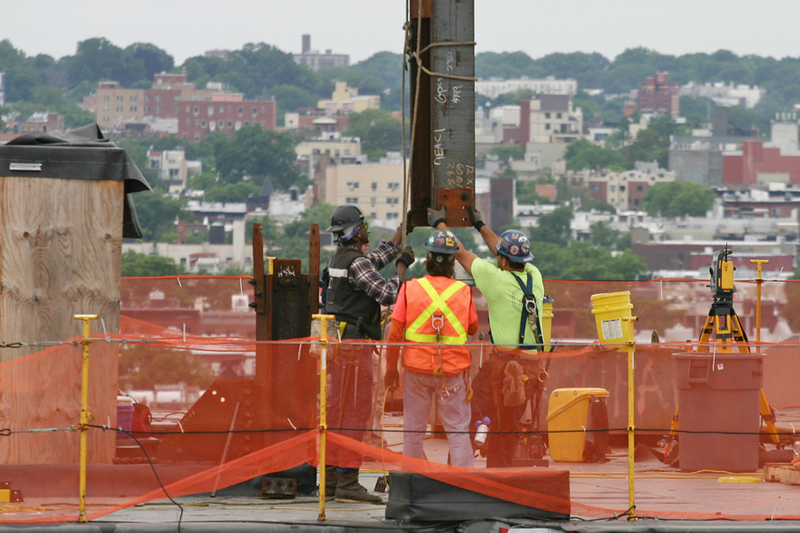 For much more on the Barclays Center‘s green roof, be sure to watch our video above, and to see where things stand today, check out the gallery below. 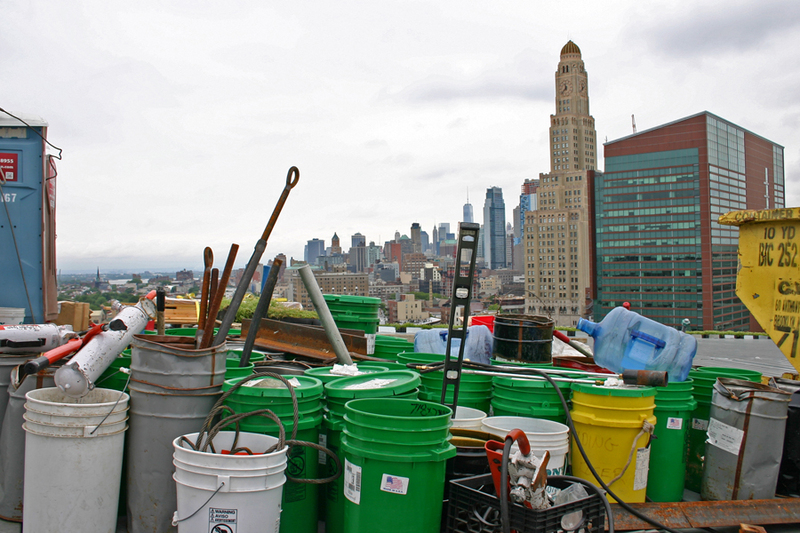 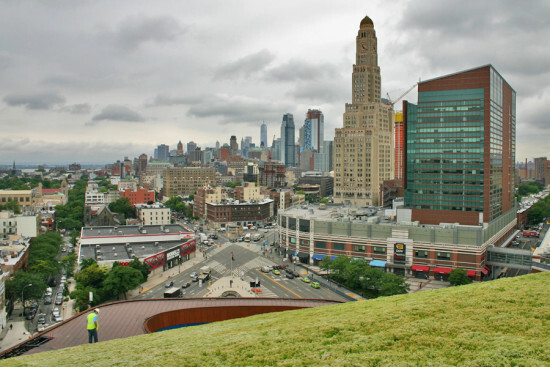 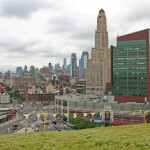 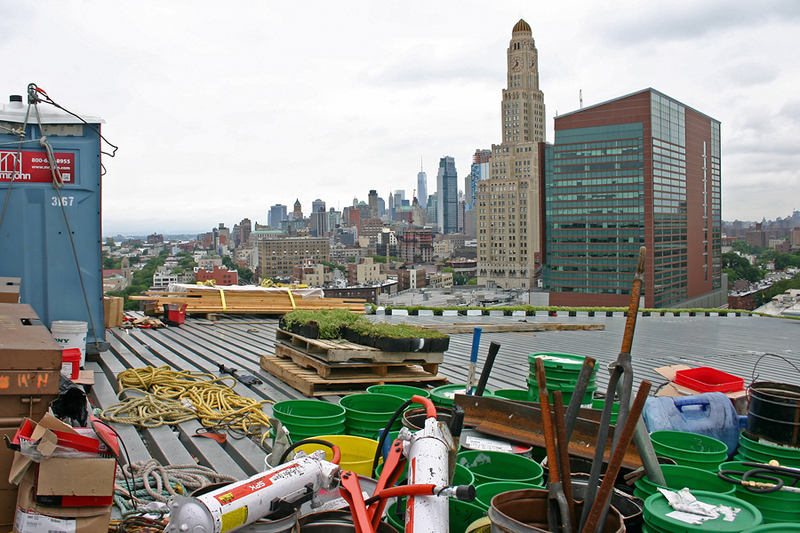 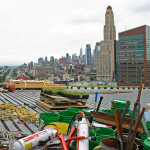 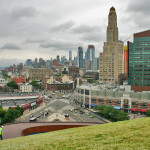 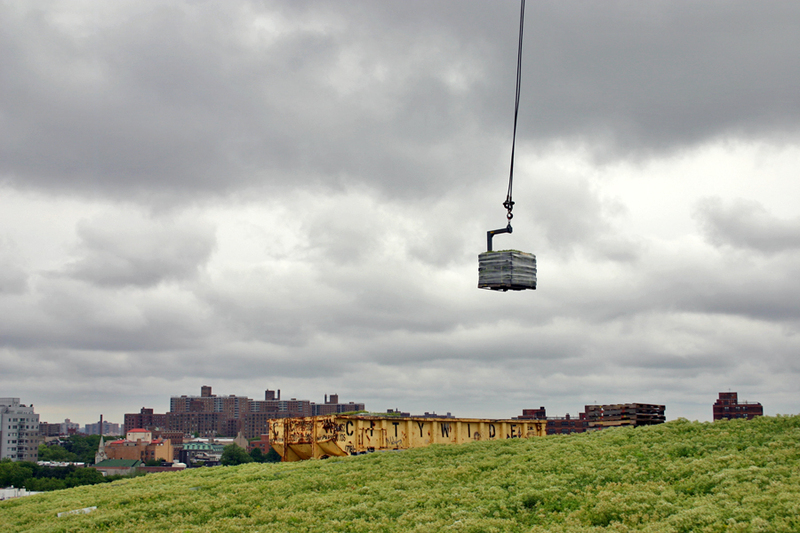 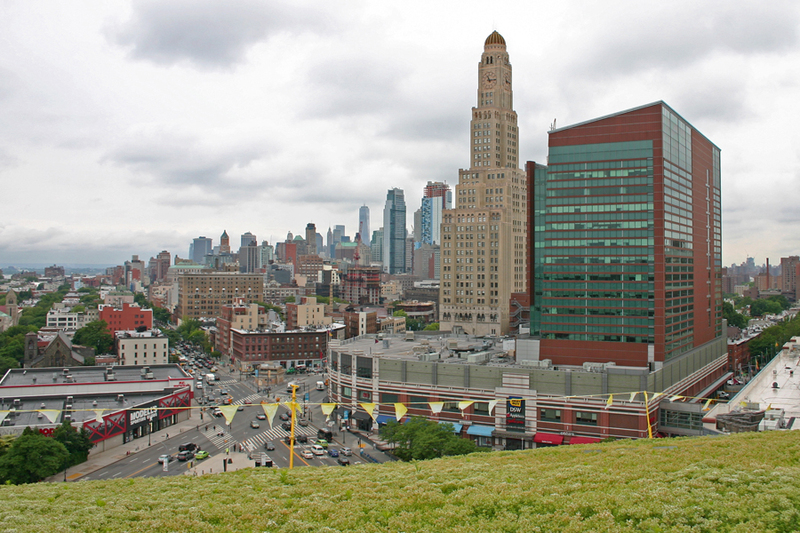 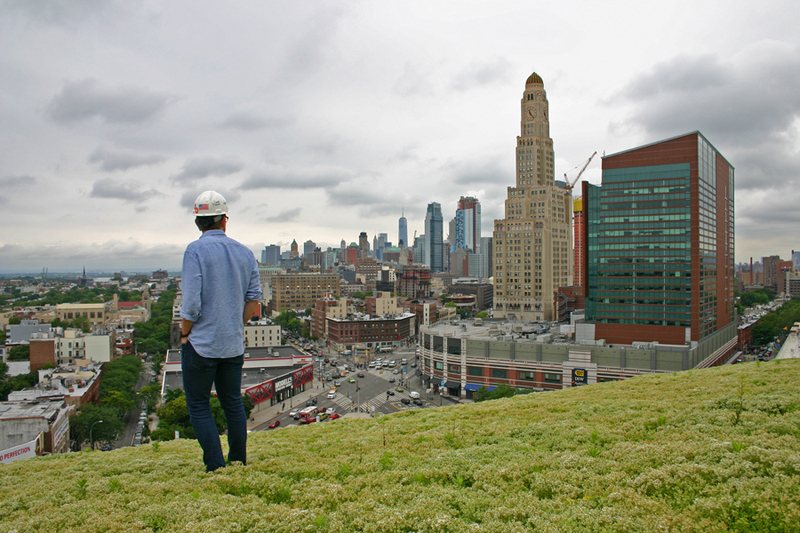 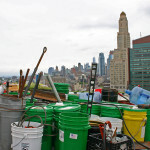 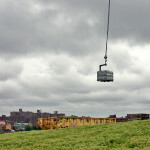 The green roof with Downtown Brooklyn and Lower Manhattan beyond.